As it warms up in Atlanta, enjoy the moment. We’ve compiled a list of some of the most sought after events happening this week. When: April 9, 6:15 to 7:45 p.m.
Do yoga to a mix of tracks spun by DJ ChillWill2Cool inside of Ponce City Market. Core Power Yoga’s Samson Frederick will be leading this yoga party. When: April 11, 7 to 10 p.m.
Get creative inside of City Winery during this sip and paint event that will let attendees go home with their own masterpiece. When: April 12, 7 to 11 p.m. Learn about the science of gin and brews by getting more information about the botanicals within them. Attendees will be able to access other exhibits in the museum and listen to a live performance by Slow Parade, a local psych-folk group. When: April 13, 9 a.m. to 9 p.m. Inside of this independent record store, musical acts including DJ Swivel and DJ Jelly will be performing. Outside of the shop, King of Pops, among others, will be onsite. Exclusive records will be available for purchase and attendees will get to take 25 percent off of used inventory from 9 a.m. to noon. When: April 13 and 14, 11:30 a.m. to 4 p.m. 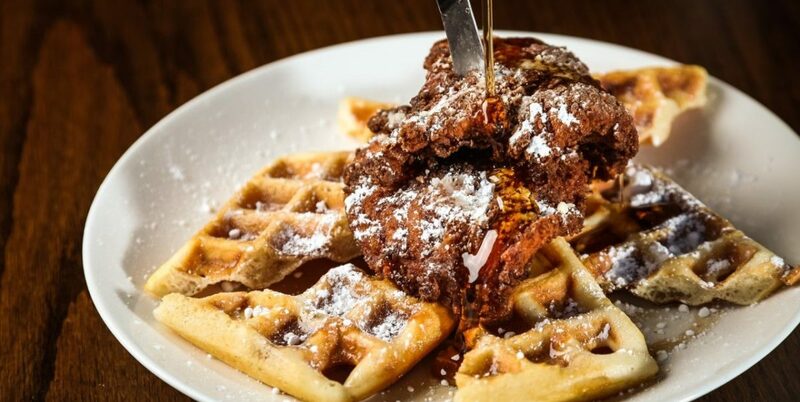 Munch on brunch bites, such as topped Krispy Kreme Donuts, chicken and waffles, biscuits, hashbrown casserole and oysters. Dogs are welcome inside of Park Tavern during the Brunchfest, but not in Piedmont Park. When: April 13, 4 to 8 p.m.
Take a walk through Avondale to see art demonstrations and to hear live performances at this family-friendly event.